Simple knee-length skirt with thin zip fastening and slit at the back. 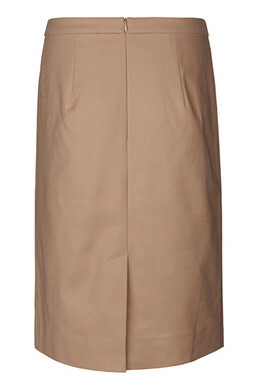 The skirt has small darts that make it sit really comfortably. Wear it with a shirt and jacket for work and an oversize blouse for parties.